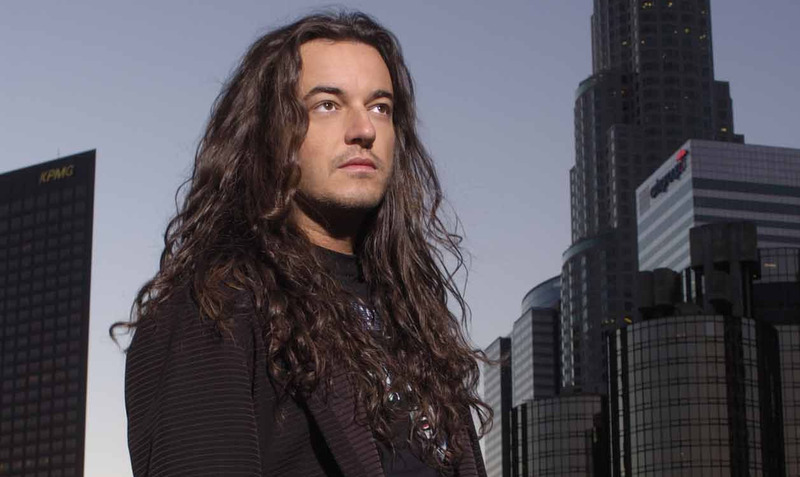 Michele Luppi entra nei Whitesnake | SLAM! Sarà il “nostro” Michele Luppi il nuovo tastierista e seconda voce degli storici hard rocker WHITESNAKE. A bit about Michele :40-year-old Michele Luppi first started getting into music at the tender age of just 5, thanks to his fascination with the hugely charismatic and popular Kiss. Over the years he soon discovered the Music he truly loves; bands like Whitesnake, Winger, Mr. Big and House Of Lords drastically went deep and forged his Musical Roots. He continued to take an active interest in music throughout his school years, focusing on musical studies as soon as possible and ultimately obtaining a diploma in the Vocal Institute of Technology (VIT) program from the Hollywood Musicians Institute in 1998. In 1994 he formed a band called Mr. Pig, which, with a series of extensive tours, soon became one of the most popular live acts in Italy. Around the same time he started working as a singer, musician, composer and producer with a range of different musical projects. In the past 12 years as a professional musician Michele has worked with a host of live acts and in studio sessions with artists and bands including Reb Beach, Eric Martin, Gregg Giuffria, Maurizio Solieri, George Lynch, Doug Aldrich, Ian Paice and many others. In 1997 he started teaching, developing his own unique method for voice production that proved to be invaluable in the world of genres derived from Rock (Michele’s main focus) and also resulted in an invitation in October of 2007 from renowned auditive system and speech specialist Dr. Franco Fussi to participate in an international convention in the role of opinion leader, alongside speech therapists, singers, and many top professionals in the field. Apart from teaching voice art in top Italian Music Schools and holding private lessons in his own studio, Michele has become one of Italy’s most sought after voice teachers and has organised a series of workshops based around his incredibly successful Voice Control method. At the time of writing more than 2500 students have benefited from learning Michele’s techniques. Between 2002 and 2003 he participated in Umberto Tozzi’s world tour as a vocalist and keyboard player, taking part night after night in concerts with audiences in the thousands at many top venues such as the Paris Olympia, Les Palais Des-Beaux-Arts in Brussels, all the main theatres in France, Italy, and several other countries. He has also been on many music and variety shows on the main Italian TV channels (RAI and Mediaset) to promote Umberto Tozzi’s “Best Of” album, which went Platinum. Michele wrote the material on the various albums, singing all the parts and recording his tracks in his private studio (MiLu’s RockLab) where he also carries out voice track production and recording for many other bands. In August 2003 he became a full time member of Vision Divine. “Stream Of Consciousness” (2004), the “Stage Of Consciousness” DVD (2005), “The Perfect Machine” (2005) and “The 25th Hour”(2007) have all become absolute milestones in the genre and key albums in the collections of the band’s melodic metal fans, thanks also to excellent promotion and distribution, handled by several of the top labels in the genre, including Scarlet Records, King Records (Japan) and Metal Blade. The band performed as the headliner act on several Italian tours and as the opening act for Dream Theater, Nightwish, Sebastian Bach, Helloween, Children Of Bodom and many other big international names. Michele toured with VD many countries to support the Albums: Japan, US, Austria, China, Taiwan and all the main Latin American capital cities. Over the years Michele released three AOR albums: “Strive” (2005), which climbed high on the Japanese charts, “Los Angeles” (2007), and “Neverland” (2009) for Frontiers Records. Both albums were very well acclaimed in the melodic rock scene. The first “Los Angeles” features Gregg Giuffria (one of Michele’s all-time musical idols) on keyboards. Apart from reaping the same excellent reviews received by the earlier works, this album greatly increased Michele’s international profile. 2008 sees the birth of Killing Touch, with Michele writing the material and producing the debut album “One Of A Kind” (Scarlet/Audioglobe, 2009), which is scheduled for release at the beginning of May in Japan on Marquee Records, just a few days ahead of the planned release date in Italy and the rest of the world. In 2009 he co-wrote the songs for Maurizio Solieri’s first solo Album. The band opened for Deep Purple (all 6 dates) and for AC/DC at Friuli Stadium in Udine. In 2010 Michele was chosen to sing and play Keys in a Major Rock Event in Bologna: he shared the stage with big names like Yngwie Malmsteen, Glenn Hughes, Gregg Bissonette, Derek Sherinian, Neil Murray among others. Later that year he joined Thaurorod, a Finnish Metal Band for the “Power Of Metal” European Tour with Symphony X and Nevermore and some major European Festivals. In 2011 he became the singer of Secret Sphere and released the year after “Portrait Of A Dying Heart”, released in Japan by Warner Bors. An European Tour followed to support the Album, including a show at Wacken Open Air 2013 which DVD release include 3 songs from the band. After a successful Tour in Japan, “the band released A Time Never Come”, a classic Album from Secret Sphere completely re-recorded and arranged with the current line up. Michele’s currently working on his solo Album and always touring with MLB (Michele Luppi Band), playing bass and singing all songs from all his previous Albums/Projects along with some AOR/Hard Rock classics. Luppi insieme ai WHITESNAKE saranno in Italia il 29 novembre all’Alcatraz di Milano.